To be a great singer, talent and technique are obviously important, as are having excellent songs and being able to move an audience. But there’s more to it than that, including two critical skills that are rarely, if ever, addressed in vocal traning: managing the technology onstage and in the studio, and interacting with the people who run it. No matter how talented you are, if you don’t know how to work with performing and recording technology, you’re in for a tough ride. Countless phenomenal singers stagnate professionally because they haven’t learned how to deliver when using studio headphones and stage monitors, or how to communicate their needs to producers and engineers. 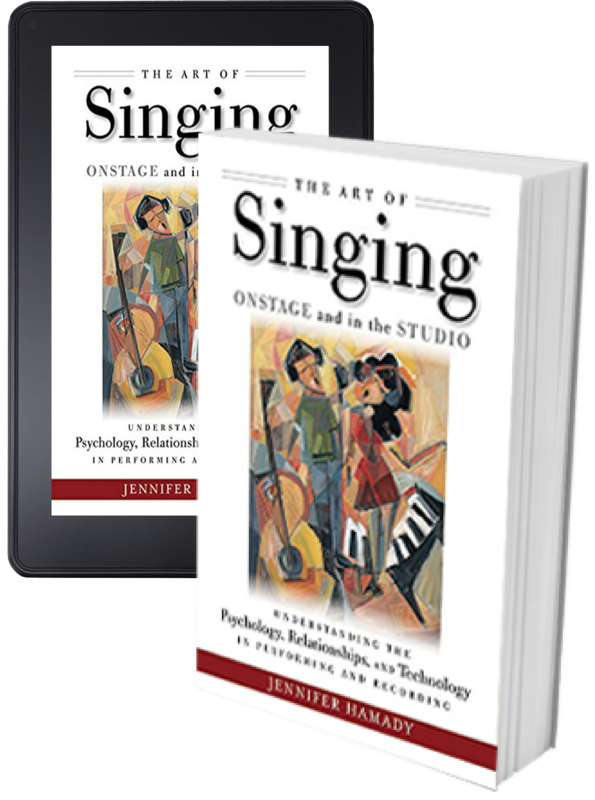 The Art of Singing Onstage and in the Studio is the only book that comprehensively addresses these critical issues in an easy-to-read, accessible style. It covers the evolution of technology and the voice in our culture, as well as the root causes of anxiety-related performance issues and how to overcome them. Singers, performers, producers, and engineers will all gain knowledge about the origins of their fields, empowerment in the tools of their trade, and clarity on how to best communicate with one another….Read More.